Will the marine layer ever relent? Into Crescent City the “jumps” have been lengthened to the 1098S’ maximum safe range, 120 miles, out of necessity. In response, my body is betraying me. That’s making it hard to keep a positive attitude. A nerve in my hip has been pinched. 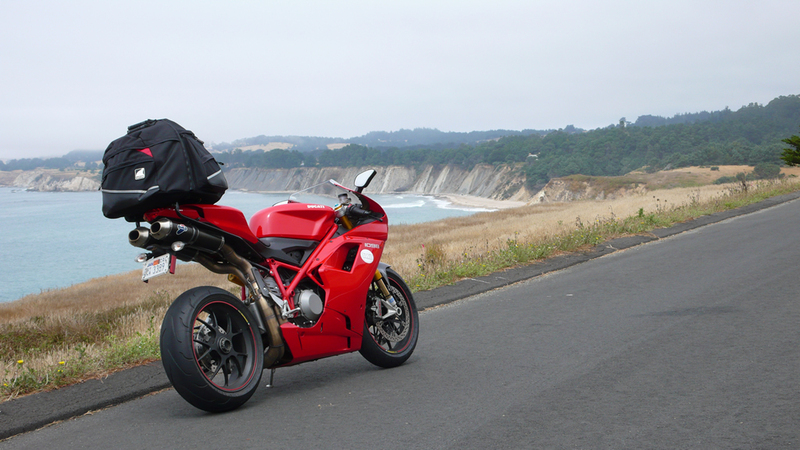 In the cloying cold mist I’m wrapped around the bike milking the engine’s heat. My shoulders are on fire. I’m squinting through a visor, fogged from within and covered in condensation from without, into a night barely pierced by the 1098S’s projectors. Eventually I give up, lift the visor, and ride without eye protection. The tears are from the wind… right? A BMW M5 comes parallel to me in a passing lane as we descend through the last stands of Redwoods at the northern edge of Redwood National Park. I want nothing more than for him to go by. My sole wish is to target fixate on his tail lights and have him lead the way along this assault wound through the giants. At the last moment in the passing lane he drops back, putting me in the lead. I’ve never hated a driver more. Resigned and half-blind I apply the throttle. The exhaust note offers a shiver of pleasure that mixes with those from the cold. 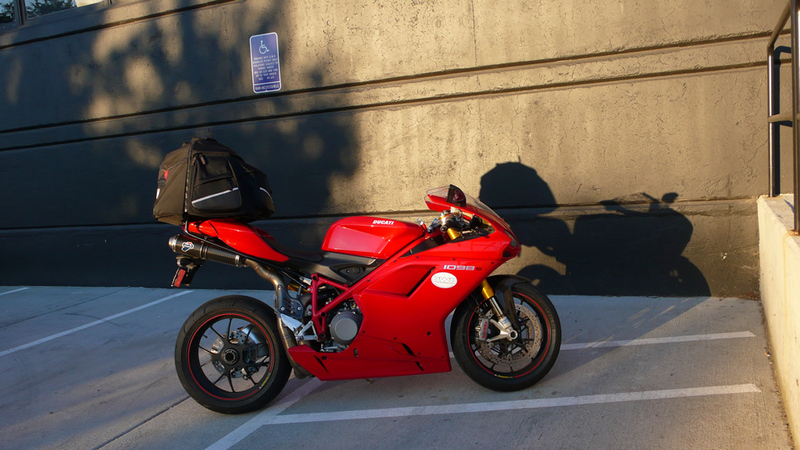 The 1098S puts distance between the BMW effortlessly. “We are 1098. We are frail organic and relentless machine consuming the world.” It doesn’t matter anymore how far I go tonight. The 1098S and I are bonded, bound together, and beyond the physical experience I’m enjoying this in an odd way. Wrapped in the warmth of the M5 you wouldn’t feel the world’s bite. That said I’m glad to reach Crescent City. The intrepid 1098S is having shifting issues. Each gear change is taking more effort. First to second is bad, second to first is worse. After Cycle World completed its run with this bike the clutch was replaced in a rush to prepare it for this adventure. Near as we can figure, air has leaked into the line. I can’t backtrack without incurring the wrath of airline re-bookings, my flight is the next day. “Or you could just push through on the I-5. 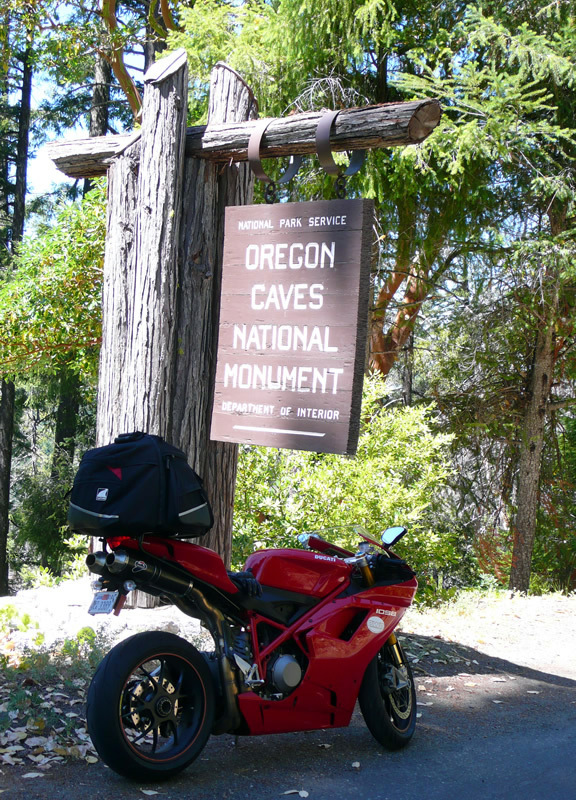 It’s probably the most scenic section.” The joy of the 1098S is what Hunter S. Thompson called, “a bottomless pit of torque.” Today that means never having to use first or second. I play out the throttle a little, and this arguably most scenic stretch of the I-5 whisks by. 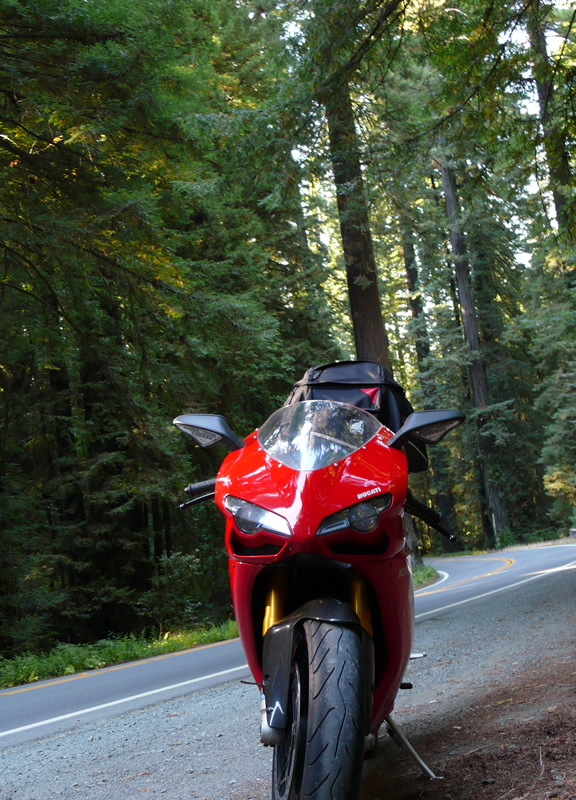 The 1098S is loping along at an easy 90mph gently outpacing the traffic through the gentle sweeping turns. I could go faster… much faster, but that would require more shifting and that’s not the order of the day. 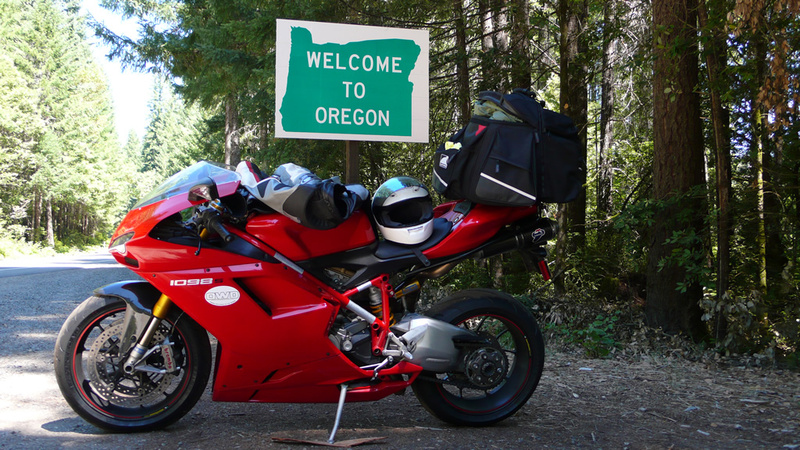 From the gas stops I call Motocorsa in Portland, letting them know a moderately wounded Duc is inbound. Coordinating, getting directions, and fretting a bit over the logistics of afterhours drop off. Mostly, though I just enjoy the warm summer’s day, the clear blue sky, as the sun slowly sinks towards the horizon and the shadows grow long. I’m going to miss this bike. It’s outgrown the labels I’ve saddled it with. 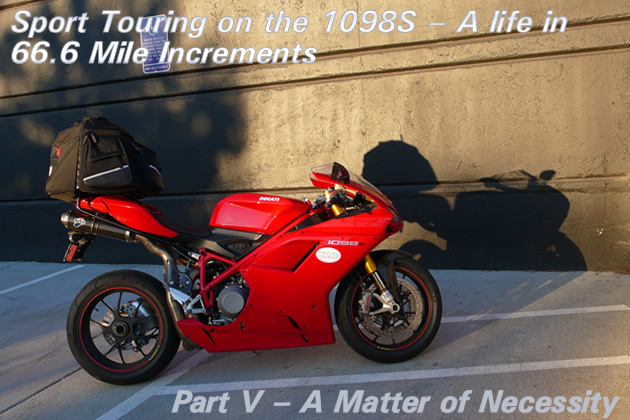 This is not the “world’s fastest sport-tourer” , “1098GT”, or the more apt “intrepid 1098”. 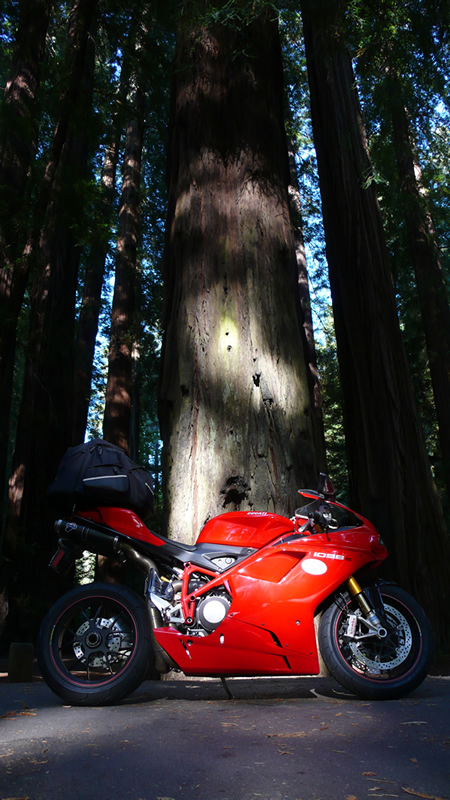 This has become “my bike” exceeding whatever parameters that make it a mere vehicle, and giving it a place in my heart. Likewise this ride has become something more than a flippant thesis, an article, or a challenge taken on in a moment’s enthusiasm. It has been an adventure, complete with challenges and a re-working of my concept of travel. Sitting in the low light of sunset in front of Motocorsa, the intrepid 1098S, worlds fastest sport-tourer, stands proudly wearing nearly 2500 miles of road grime, bugs and abuse. 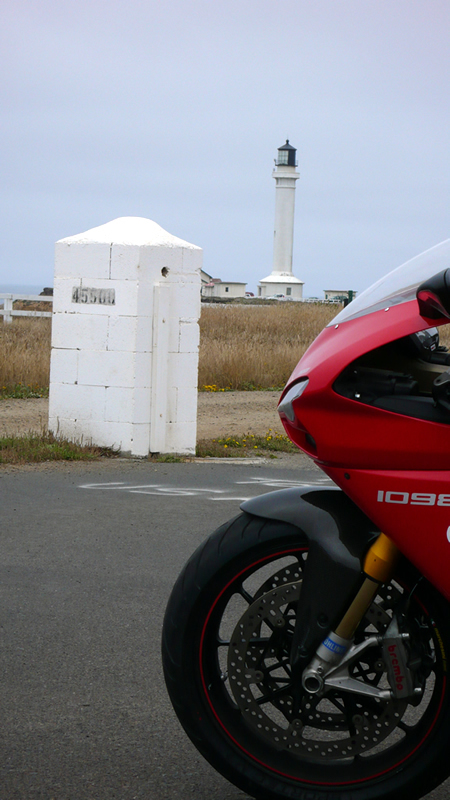 This is the end point of our journey, a parting of ways, and the 1098S no longer looks like the “dream bike” of our thesis. It’s roamed the real world and decided to stay. Would I choose the dream over a more practical option? Well, there are thing’s I’d change, better headlights, lower pegs, tank range, a seat with foam and higher bars… the list contains items from minor to major. Balancing these items is the experience, I could change elements of the 1098S for GT duty… but that would have changed the ride. The 1098S has become a comrade, showing me California in a way I’ve never seen it before; a life lived in 66 mile increments. 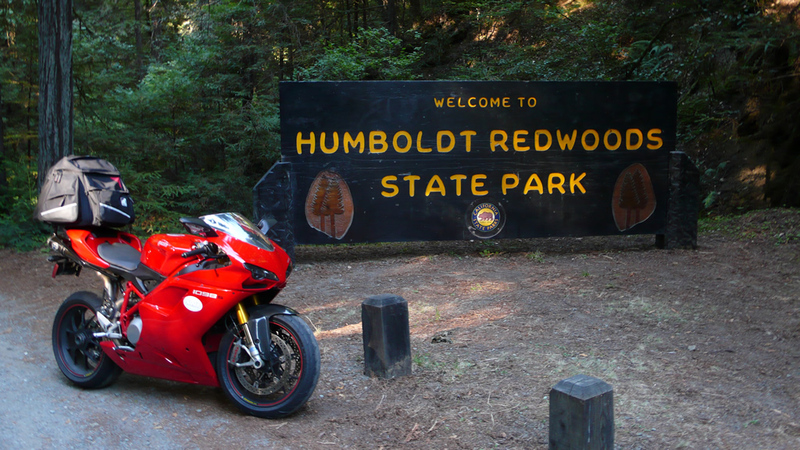 Let us drop the “.6”, because even during the trip’s most grueling moments were in hindsight the fabulous signatures of an adventure that no other bike could provide… the 1098S lent the undertaking audacity and style. 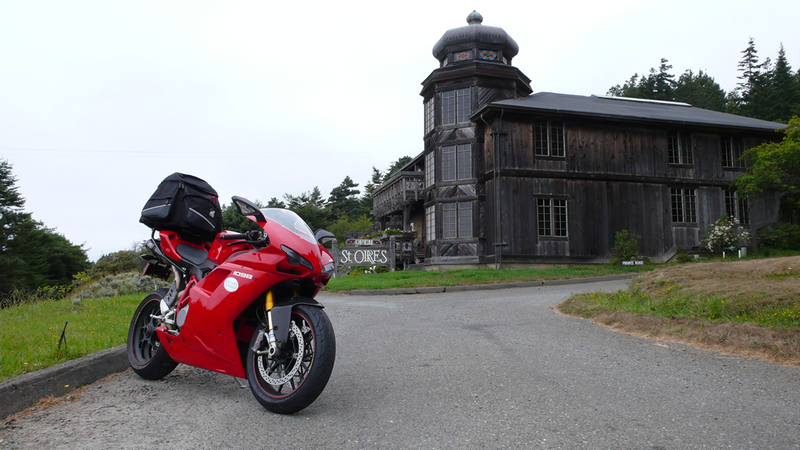 For that alone I would own a “dream” bike over the practical alternative… if I had only one bike to choose. 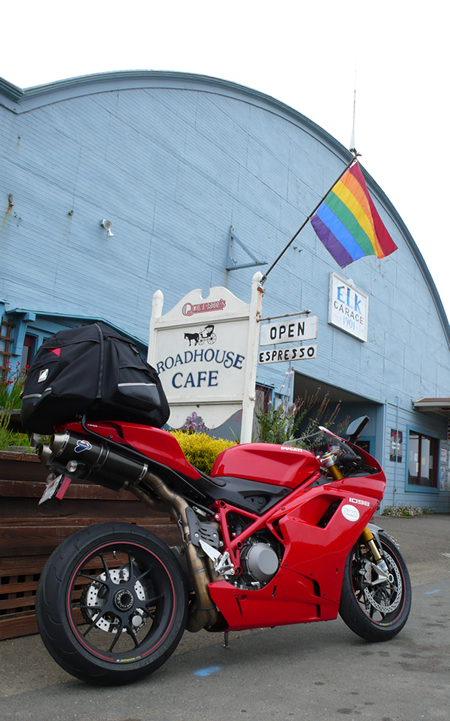 If I could slot a second bike into the stable though, I’d have a something more touring oriented at a moment’s notice. Audacious undertakings are fine, but my chiropractor has just redecorated his office thanks to the adjustments this trip has required. He has no idea how much I’d like to.